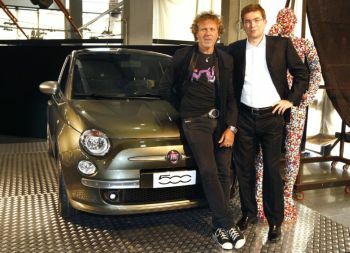 Fiat Automobiles CEO Lorenzo Sistino and Diesel CEO Ronzo Rosso with the new Fiat 500 by Diesel, a limited-edition version of the supermini that will makes its debut at the Paris Motor Show. 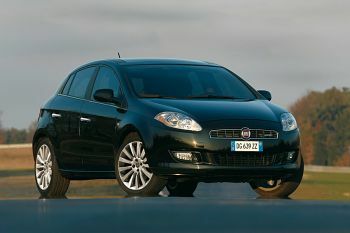 Fiat Automobiles' model range at the 78th edition of the Paris Motor Show next week will include the Bravo, Sedici, Grande Punto, Panda and Qubo. The highly original Fiat Automobiles stand at the Paris Motor Show is made up of modular elements with moving shapes and images. The exhibition area is like an enormous high-tech garden with a fluid floor interspersed with lighted inserts that sprout gigantic stems carrying huge mirrored disks. This makes the stand look like a pathway winding through an animated landscape allowing glimpses of the cars between the stems. This great garden is presided over by an enormous image of the 500 – the famous reproduction five times larger than actual size – looking down on a semi-transparent area housing the merchandising, lounge area and offices, with a bird’s-eye view of the whole stand. Against this stunning backdrop, visitors can discover a world of emotion, imagination and style, all packed with technological innovation, Italian panache and respect for the environment. The specific aim of Fiat Automobiles at the Paris Motor Show is to tell the general public about its commitment to environmental protection and sustainable mobility, a commitment that has been a driving force to the brand in the development of its models and has led to the setting up of a web platform that can be accessed from the Fiat website (www.fiat.it – www.fiat.com), dedicated to Fiat’s 360° commitment to environmental protection throughout the life cycle of its cars: from preliminary research, to design and development and then end of life management. The best demonstration of this continuous commitment to research and the creation of minimum environmental impact products are the cars on show in Paris bearing the PUR-O2 logo, a branding that identifies a small, select group of versions that are at the cutting edge within the Fiat range for their technological content and low CO2 emission levels - and up with the very best of the competition in their respective segments. The PUR-O2 label thus describes vehicles with specific and distinctive environmental content, such as the new ’Start&Stop‘ device developed by Bosch and special Eco Packs that include green tyres, low-viscosity fluids, aerodynamic packages and gearboxes with modified ratios. From November, the PUR-O2 badge will be applied to specific versions within the 500, Bravo and Croma ranges that are outstanding for their qualities of reduced CO2 emissions and low fuel consumption. At the Paris show, the PUR-O2 brand can be seen on a Fiat 500 Lounge equipped with a 1.2 litre petrol engine teamed with a Dualogic robotised gearbox and the Start&Stop system. The spotlight will also be on Croma and Bravo cars equipped with 1.9 and 1.6 litre Multijet power units respectively: all the cars on show guarantee a significant reduction in CO2 emissions and a much lower fuel consumption. 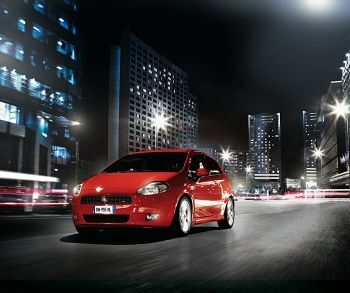 Amongst other things, the public will also be able to see an Eco Drive on the Fiat 500 PUR-O2 and via a simulator. This eco-compatible driving system, developed in conjunction with Microsoft, is due to be adopted throughout the range from January 2009. These minimum environmental impact cars will be flanked on the Parisian catwalk by other Fiat models representing one of the broadest and most multi-faceted ranges on the international automotive scene. Beginning with the special series ‘Fiat 500 by Diesel’, an expression of the very best of Italian designer style and further confirmation of the infinite possibilities that the new model can offer. The show continues with the world premiere of a new version of the Fiat Bravo equipped with the lively 165 bhp 2.0 Multijet engine (Euro 5) in a Sport version with 18” rims and red brake callipers, rear spoiler, side skirts, sporting interiors, sports pedal unit in aluminium, chrome inserts - plus leather-trimmed steering wheel, gearshift and handbrake. 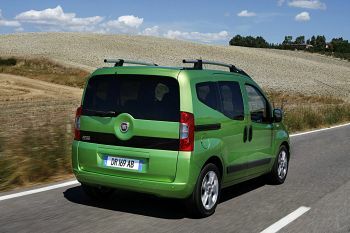 Near to this new product, visitors can also admire the Qubo, the brand-new vehicle marketed by the Fiat sales network. The car on show is a Dynamic version equipped with the spirited 75 bhp 1.3 multijet engine plus a DualogicTM robotised gearbox and 16" light alloy rims, aluminium roof rails, Privacy window, Blue&Me, radio CD/MP3 with steering wheel controls, rear parking sensor and leather-trimmed steering wheel and gear knob. The luggage compartment contains a luggage retaining net and a courtesy light that becomes a handy electric torch when removed. 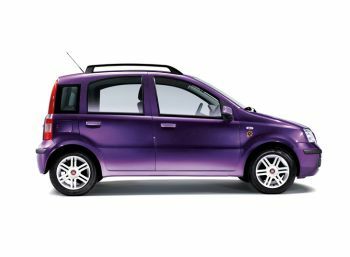 The spotlights at the show will also be on the Fiat Grande Punto MY 2008 that can be viewed at the Paris show in the 3 and 5 door Emotion version (90 bhp 1.3 Multijet 16v engine and Dualogic robotised gearbox and a 75 bhp 1.3 Multijet 16v engine and manual gearbox). The equipment list is long: dual zone automatic climate control, Blue&Me NAV, cruise control, black leather upholstery, rain and parking sensors, skydome sunroof, front seats with head restraints including an anti-whiplash function, rear spoiler, side skirts, window bags, sidebags, 17" alloys and a Radio with CD-MP3 player. 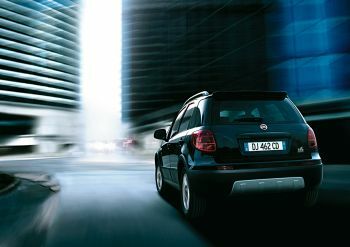 The line-up at the Paris show is completed by a new version of the Panda model – guaranteeing a significant reduction in CO2 emissions (119 g/km) and a considerable drop in fuel consumption (11 per cent less than the original version) – and a four wheel drive 120 bhp Fiat Sedici 1.9 Multijet, the versatile model that proved the biggest-selling SUV in Italy in 2007. The car on show boasts an automatic climate control system, satellite navigation system, privacy windows, leather seats, Safety pack (ESP and Window bags) and Luxury pack (steering wheel controls). Visitors to the show can also pick up information material and consult totems on the stand to find out about products on offer from Fiat Group Automobiles Financial Services, a captive finance company created as a joint venture partnership between Fiat Group Automobiles and Crédit Agricole. The company backs Fiat Group Automobiles, in Italy and Europe, with a single mission: to support the sales of Fiat, Alfa Romeo, Lancia, Fiat Professional and Abarth branded cars by offering innovative financial products incorporating high added value services that are aimed at the dealer network and also private and fleet customers. Throughout the duration of the show, a blog on the website will provide up-to-date information on events, products and news. Above all, it will open a space for communication with advance news and campaigns on the environmental and ecological issues that Fiat Group Automobiles uses as a basis for the creation and ongoing improvement of its products.